All I can say, 53.000 Italian fans left home empty handed as they were all “expecting” Usain Bolt to win, and do his post race antics and a lap of honour..
After all, track and field has become more of an entertainment than a sport. But there are no guarantees in life, only death and taxes. I’ll write a full recap of other stories in the next few days. 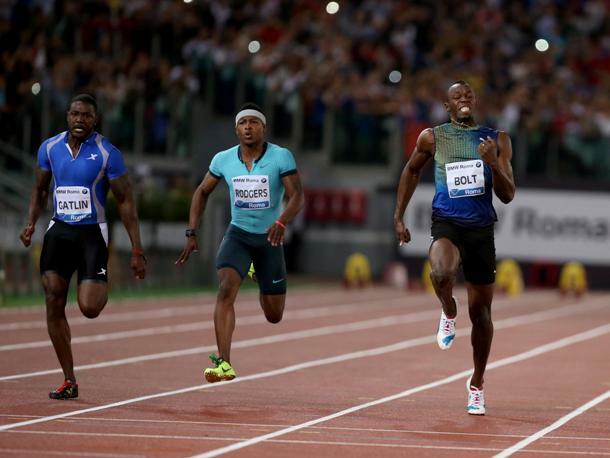 Sounds like a paradox, but Bolt’s start was too good to win race …. Energy Distribution. If you expel too much energy for the first 50, you will be in a world of hurt over the last 50. 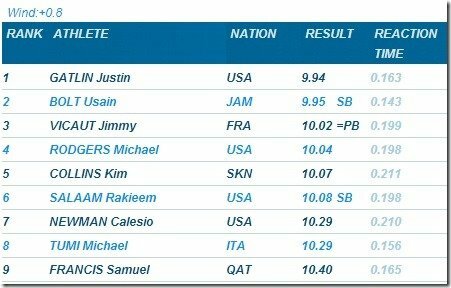 Jimson, i think that Bolt ran very bad last 50m because he is in bad shape yet, it is very sure hehe. With normal RT he would have sub10 easily in that race. @Harry, actually, Bolt said later that he was training for the 200m, so he has me confused now. But it doesn’t matter what he says, it’s what he does on the track that matters. Besides, this was race wasn’t the Moscow World Champs. Jimson, you hit the nail on the head once again. 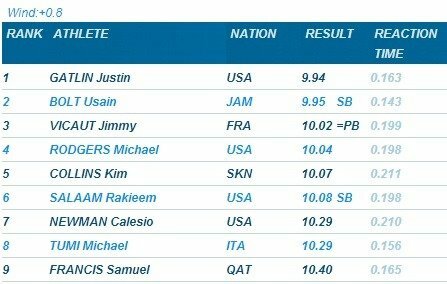 Impressed with Gatlin’s solid execution. @Fred, it was sad to see half the stadium empty out after the 100m… we still had the men’s 400m and 110mH. Maybe the track powers-that-be in Rome will recognize that there has been a disproportional emphasis and attention applied to the 100 meter event due to its obvious attraction and will place that event last in the program to allow the athletes that participate in events like the 400m and 100mH to receive their due recognition. Perhaps it’s also a matter of those instrumental in promoting their respective events to place greater efforts into their marketing and lobbying campaigns to affect change and perspective with the public and the track and field organizers. Lastly, it may be that we as fans are so personality driven that the respective disciplines need to attract, recruit and develop potential athletes that for one reason of another pursue other actions. As well documented, Blanka Vlaši? is a glowing example of those that have been able to elevate the status of their event. In the recent past, very few captured the public’s imagination as Edwin Moses did in the 400mH. But I’m not sure as to what extent this level of athletic prowess and charisma have on the organizers. @Fred, to me, the most exciting event of the night was the women’s HJ, and it did NOT include Vlasic nor Trost, because of the jump-off. I was on the edge of my seat! 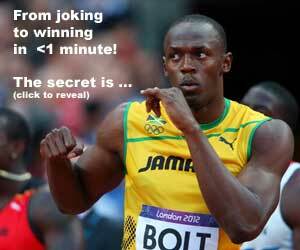 And the 3 min IAAF highlight video reel didn’t include it! just to clarify, the main program was 8-10pm, so they had events before and after that TV time slot.